Oddly, life isn’t much different than before, when I wasn’t on the Amazon Bestseller List. But seeing that people are interested in my book is pretty exciting, I’ve got to admit. 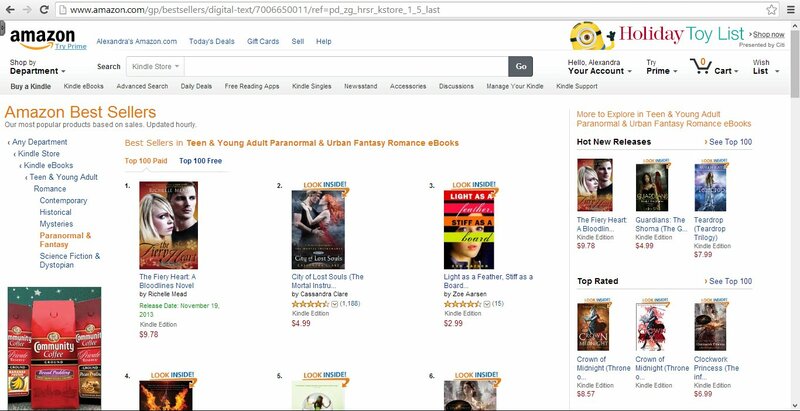 And surpassing Twilight Book 1 in the paranormal teen romance list was very gratifying, even if it only lasted a few hours!